Every day, I have the pleasure of tasting very different teas. But the technique is always the same, and in each tasting session my senses are alive to the experience. I pay as much attention to the tea’s colour, smell and texture as to its flavours. Here, I’m tasting three different cooking matchas in order to choose the best one. This powdered green tea from Japan can be used to flavour your cakes, sorbets and other dishes. Even a Christmas log, why not? When I meet tea producers we always exchange small gifts. It’s a nice way of expressing our pleasure at working together. 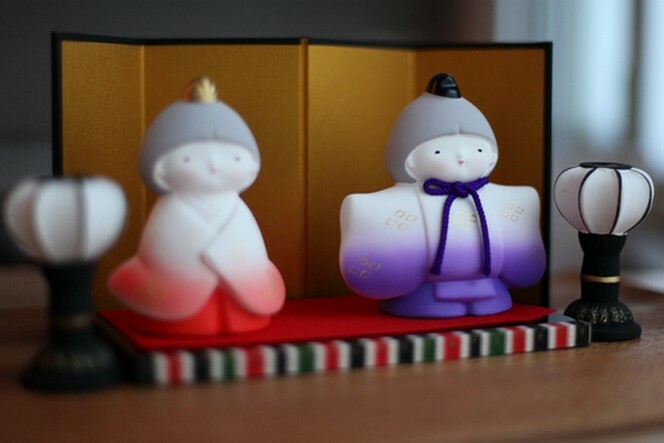 One of our Japanese suppliers with whom I’ve just spent the day has given me these delightful ceramic figures. I photographed them in the morning light, before making them an offering of a Gyokuro. Looking at them fills me with a sense of calm and wellbeing. As I am leaving Japan for China, I am also swapping the “kyusu” for the tea boat. You pour the tea into the first cup, which is quite narrow. You then empty this cup into the wider one. 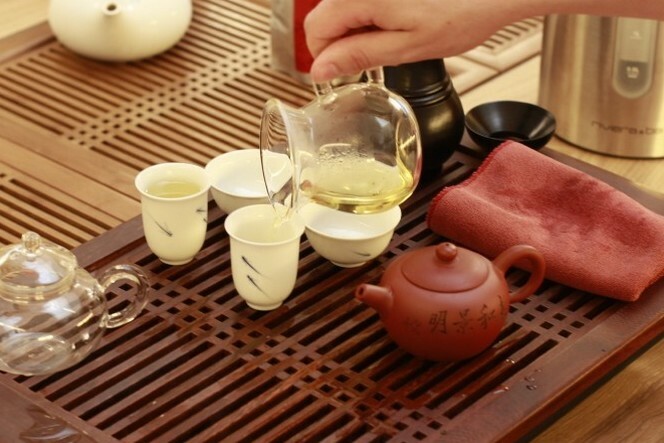 The smelling cup retains the fragrances of the liquor for a long time and allows you to explore the tea’s bouquet. You drink from the second cup, the tasting cup. 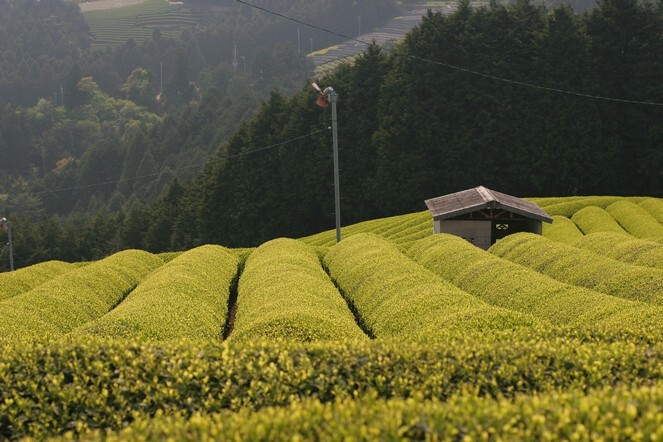 It is worth visiting Japan’s first tea gardens. These ones were planted on the island of Kyushu, apparently around the 17th century. 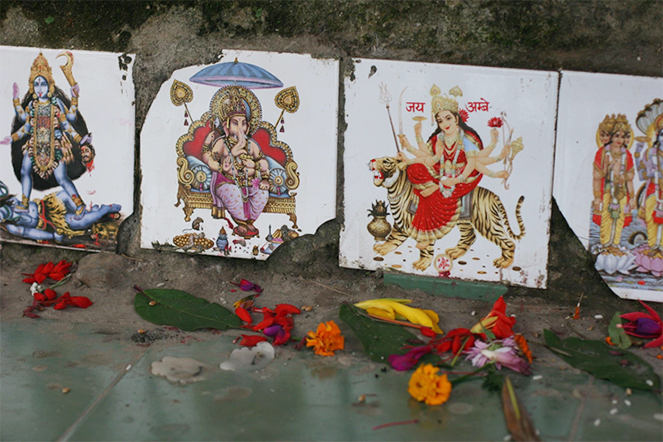 They are very small gardens, situated on the mountainsides. 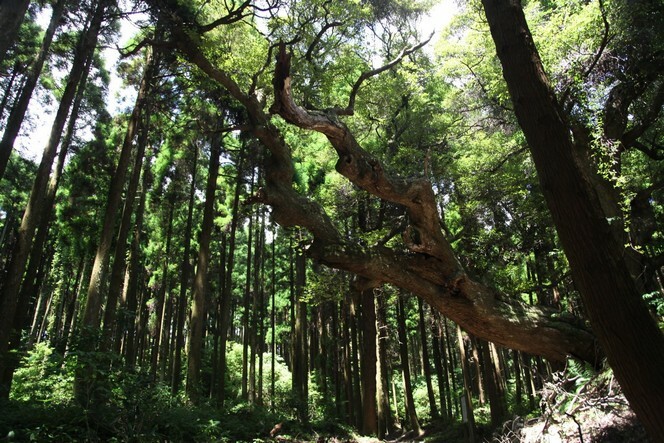 To visit them you must travel through dense forests, mainly made up of magnificent cryptomeria trees. 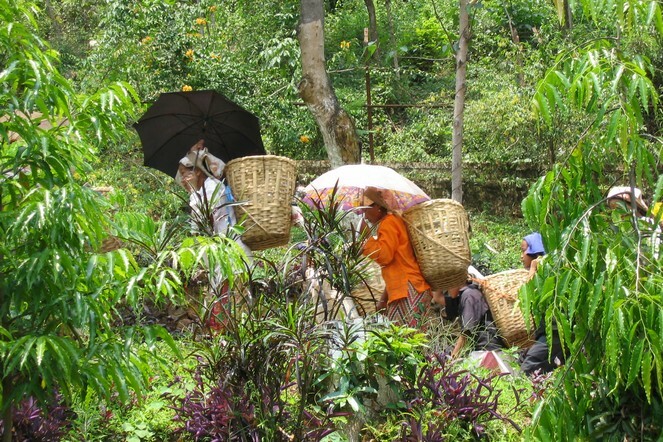 You walk along a narrow, well-worn path and then, coming across a clearing, you discover a tea garden. 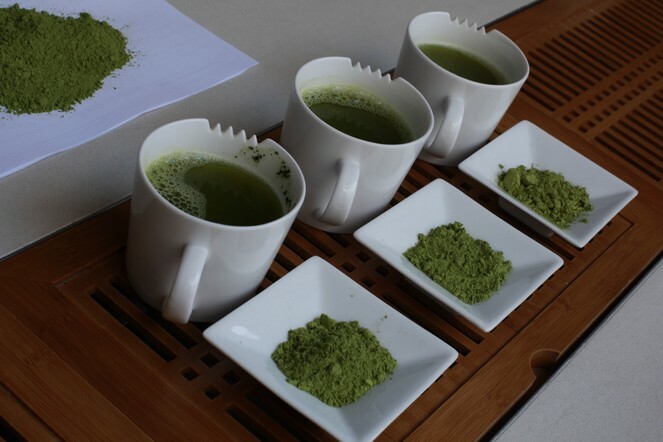 This stele may look unprepossessing, but for fans of Japanese teas it is worth a detour. 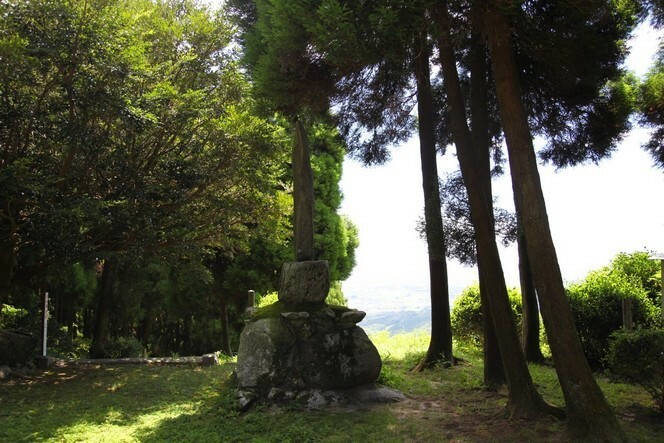 The stone bears an inscription stating that it was in this place that the monk Eisai, who came from Long Jing in China, planted tea seeds he had brought with him. As for the rest, you can see the outlines of some Camellia Sinensis trees on the right. At the moment I’m on the island of Kyushu, near the city of Saga, where the story of Japanese tea began. I should also mention that there are a few other similar stelae on the same mountain, bearing roughly the same inscription. The Japanese city of Tokoname, situated not far from Nagoya, is one of the best known centres of ceramics. 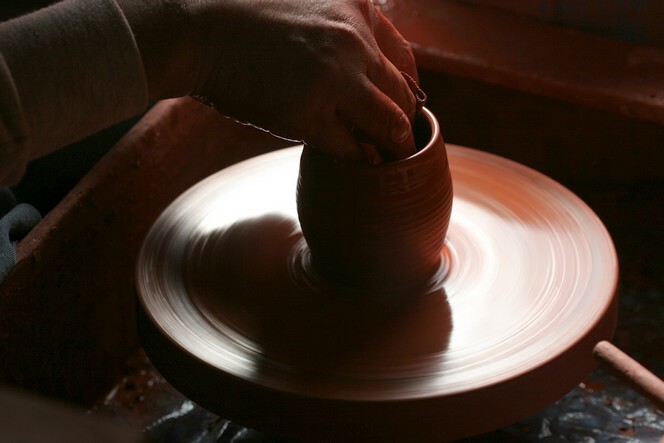 The city is home to well-known potters who work in their own studio, which is sometimes part of their house. Many make the famous “kyusus”, the small teapots that can be slightly flat in shape, with a handle perpendicular to the spout. They are used to make the best Gyokuros, or equally delicious Senchas. Tradition and modernity come together in Japan. This mix also applies to tea houses. 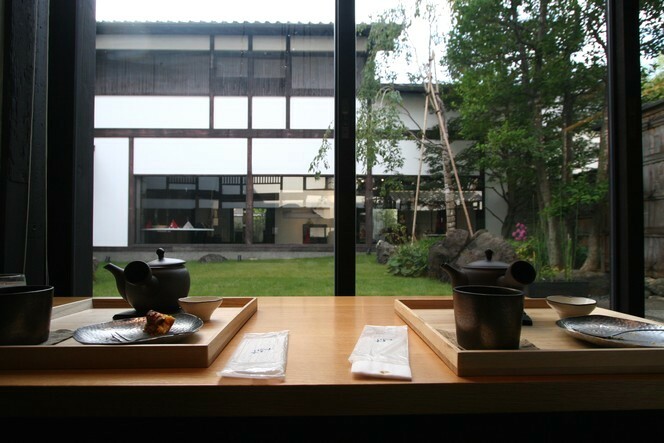 In a city like Kyoto, for example, which is near where I’m staying at the moment, you will find establishments that are more than two hundred years old, which are really worth a detour. Personally, I like the peace and charm of a comfortable place with clean lines like the Zen Kashoin tea rooms, located in the city centre. There, you can enjoy matcha ice-cream and various pastries, accompanied by your favourite green tea.